Today, we bring you a message by Krista Mournet. The message was recorded on Wednesday November 18, 2015 during our Seminary Chapel. Krista, her husband Terence and their son Lucas have been a part of the Ashland Seminary community since 2010. Krista’s interest in music and worship extends back most of her life, beginning when she would sing with her mother in church as a child, to singing in various church choirs and worship teams over the course of her life and up to the present day. In addition, she and Terence have ministered together in various worship groups since before they were married. In recent years, her university training in theological research has served to deepen and mature her desire to help people worship God through music. Krista derives a great deal of joy from bringing people together to use their gifts in God’s service, in this case in Ashland Seminary’s chapel services. She enjoys cooking, spending time with her family, reading and sharing laughter and fellowship with friends, usually including music, coffee or food. 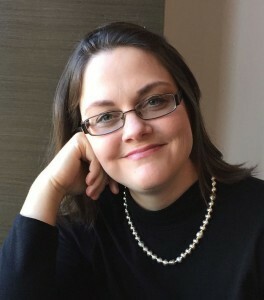 rista Mournet serves as Chapel Coordinator at Ashland Theological Seminary. In addition, she also serves as Worship Director at Faith United Methodist Church in Ashland, Ohio. Previous Previous post: Becoming contemplative during the Holiday Season.